Monday, January 13, 1862.Washington, DC. Cabinet in special meeting at 11 A.M. Philadelphia News, 13 January 1862. Lincoln names Edwin M. Stanton his secretary of war to succeed Simon Cameron. Abraham Lincoln to Simon Cameron, 11 January 1862, CW, 5:96. Sends to Senate nomination of Cameron as minister to Russia. Evening Star (Washington, DC), 14 January 1862, 2d ed., 2:1. In afternoon convenes council of several generals, including Gen. McClellan, and cabinet members to discuss military plans. McClellan declines to give details of his plans for fear of leak; considers council military cabal against him. Diary, Montgomery C. Meigs Papers, Library of Congress, Washington, DC; Montgomery C. Meigs, "Documents: General M. C. Meigs on the Conduct of the Civil War," American Historical Review 26 (January 1921):292. President Lincoln writes to Brigadier General Don C. Buell concerning military strategy, and states that although his suggestions are not "orders," he would like them to be "respectfully considered." Lincoln offers his assessment of the war: "We have the greater numbers, and the enemy has the greater facility of concentrating forces upon points of collision." 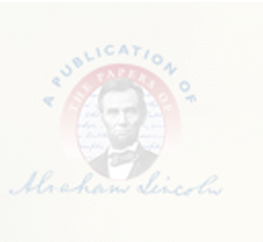 Lincoln suggests that the Union forces pressure the enemy "at different points, at the same time; so that we can safely attack, one, or both, if he makes no change." Lincoln to Buell (copy), 13 January 1862, Edwin M. Stanton Papers, Library of Congress, Washington, DC; Abraham Lincoln to Don C. Buell, 13 January 1862, CW, 5:98-99.